Nobody wants to be that family when you’re eating out. We’ve all seen the family with kids that seem out of control and parents that look exhausted. Eating out with kids may seem like a naturally chaotic experience, but it doesn’t have to be. We’re going to give you our five best tips on how to handling dining with kids. 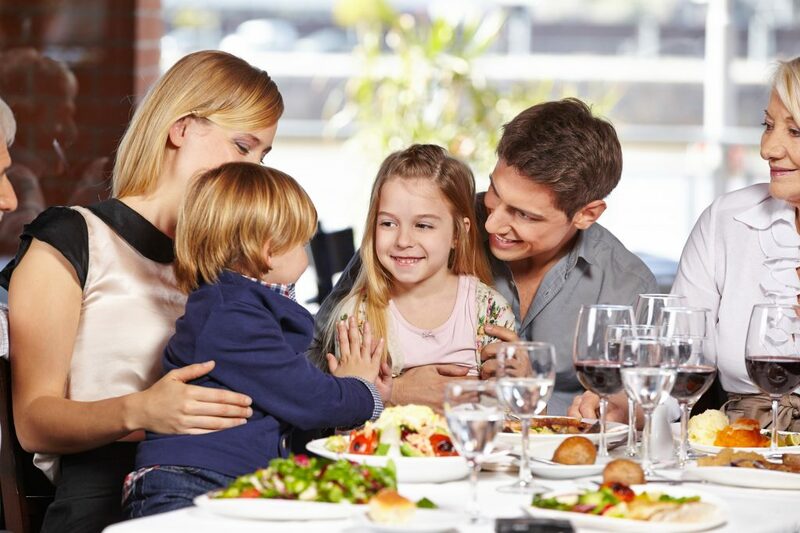 After you read this post, you’ll feel ready to have a great time eating out with your family. When you’re out dining with kids, you’ll want to make sure that you pick a place that’s kid-friendly. There are some restaurants that even the most well-behaved kids won’t enjoy. The food may be too sophisticated for your child’s palate, the atmosphere may be too calm and quiet, and both you and your child could have a bad time. Take time to call ahead and see if the restaurant accommodates kids. Any place with a kids menu and high chairs is a great place to start. Eating at home is going to be very different than eating out. It’s a good idea to set behavior expectations before you eat out so your kid will behave. Let them know that they’ll have to wait patiently for their food because other hungry people are eating too. Tell them to use their inside voice, and to always say please and thank you. Also be sure to be on your best behavior when you’re out. Your kids are watching how you interact with hostesses and waiters. Treat everyone with respect and your kids will follow your glowing example. Everybody knows how their kids can get when they’re tired and cranky. If you want to have the best experience while eating out with your kids, do it as early as you can. Going out early comes with its own benefits. You could get discounts if you eat during happy hour or if you grab an early bird schedule. It’s a win-win. You can save money, enjoy dinner out, and get your kid home before bedtime. Crayons and coloring books are already a staple in family-friendly restaurants. Nobody will bat an eye if you bring something to entertain your child. If your child finishes (or loses interest in) dinner when you’re still eating, you’re going to want to keep them happy and entertained so you can enjoy your meal. Coloring books, a picture book, or a quiet toy are great things to bring to restaurants. We know that your child may be used to playing on iPads or their phones, but loud electronics will disturb other diners. Bring something quiet and simple to keep them occupied and everyone will be grateful. We know that you can’t expect your kids to behave if you don’t take them out, but sometimes you have to call it a night. Maybe they didn’t get a good enough nap and there’s no way they’re going to behave. Maybe you just don’t have it in you to police another dinner and just want to give them something easy at home. Either way, don’t feel bad if you need to leave. If the kids are too cranky and you don’t even think you can enjoy yourself, it’s time to go and try again another time. You want to have an amazing time every you’re eating out with kids, and we’re here to make sure that you can. Now that you know how to have a great time out with your kids, why not make it a complete family night? Check out our post on the best dog-friendly restaurants so everyone can have a fun night out.